Just When Will You Get . .
Why Are We on LinkedIn Anyway? Nice Guys DO Finish First! Of Manners and Men . . . I Gotta Be Me — ISTP! Swear Words. Nasty Words. Hurtful Words. Labels. In New England, We Are Hunkering Down! The Grammar Goddess is NOT Passionate About Grammar! 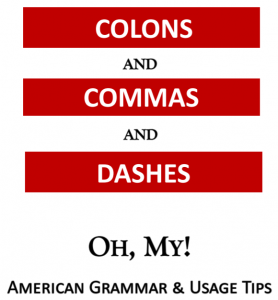 Why Do I Teach American Grammar?